The 2,600-seat Savoy Cinema-Theatre, designed by F. C. Mitchell (Savoy Cinemas’ architect), opened in 1930 on the oddly shaped plot left by Brill’s Baths. The largest cinema ever built in Brighton is now home to five different nightlife venues. So what’s the story? Lamprell’s, the first communal swimming-bath in Brighton opened in 1823 on East Street by a Mr Lamprell in a circular domed building nicknamed ‘the bunion’. In the 1840s, Charles Brill (Lamprell’s nephew) inherited the baths and in 1961 he opened a new ladies’ seawater bath in a nearby Gothic building on the west side of Pool Valley. In 1869, he built a new gentlemen’s bath, designed by Sir George Gilbert Scott, in a red-brick building between East Street and Pool Valley. The circular pool was the largest in Europe at that time and its seawater was brought in from Hove – which, as Hove residents know is far cleaner! Brill’s baths were demolished 1929 but look out for the tiny Brill’s Lane between East Street and Grand Junction Road. The Savoy sprung up on the site with a main entrance on East Street but also a prominent seafront entrance on Grand Junction Road. Each had a restaurant and café above, with a manager’s flat above the seafront entrance. When Savoy Cinemas became part of the Associated British Cinemas (ABC) chain during 1930, the scheme was redesigned by William R. Glen (ABC’s architect), who fitted out the interior in a Japanese style. The building has various Art Deco elements and its principle features are the glazed cream terracotta tiles and decorative Corinthian pilasters. Also worth mentioning is its car park for three hundred cars. The cinema was renamed the ABC during the 1960s and its windows were famously smashed during the seafront clashes between the Mods and Rockers. 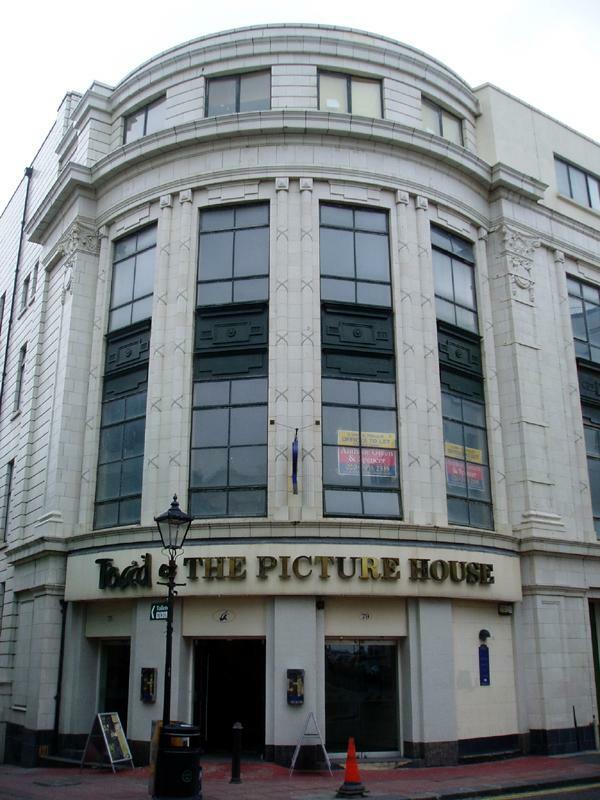 The ABC chain was purchased by Cannon Cinemas Ltd and the cinema was renamed the Cannon in 1986, by which time the building had been divided into four smaller auditoria. Unfortunately, little remains of the original internal features. Today, the seafront entrance and upper parts are used by the Grosvenor Casino and the grand East Street entrance is now the doorway to a bar called ‘Toad’. Three other bars occupy the rest of the building, namely KooKlub, Santa Fe and Po Na Na. Call me old fashioned, but I’d have the 1930s atmosphere back at the drop of a hat.